Gypsy Barcelona has left a joyful and authentic mark on our culture, experienced in its full essence in the Tablao Flamenco Cordobés. You need no reasons to go but, just in case, here are five good ones! 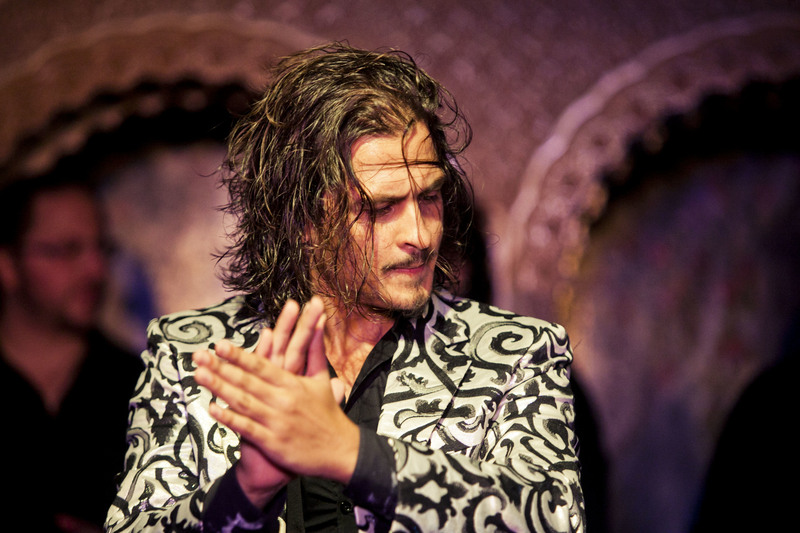 Flamenco has been rooted in Barcelona, a multicultural city, since the end of the 19th century. It began on the stage of El Liceu and spread to the 'cafés cantantes' that emerged in the centre of Barcelona and where the main figures of the period performed. In the mid-20th century, Carmen Amaya, born in El Somorrostro, the shantytown in La Barceloneta, became the most famous flamenco dancer of all time and an international artist of reference, putting our city on the flamenco map. Her legacy can still be experienced and felt today in the Tablao Flamenco Cordobés in La Rambla. 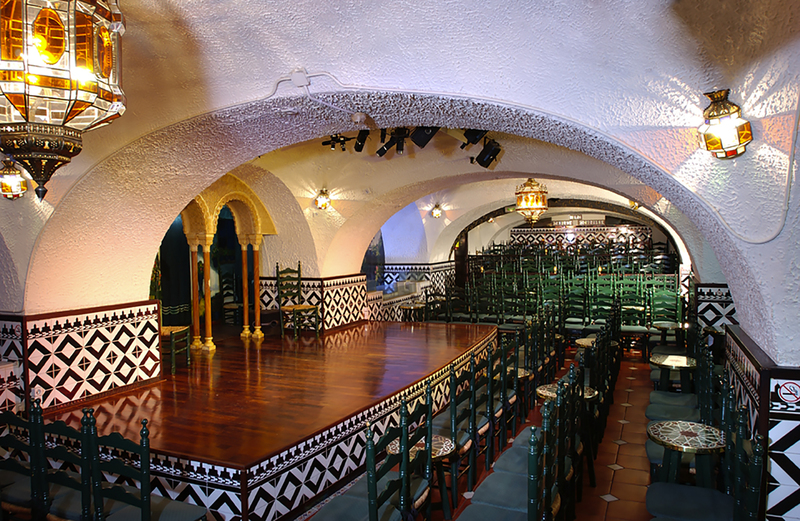 This temple of flamenco, opened in 1970, has always attracted the main figures of this art to its stage. 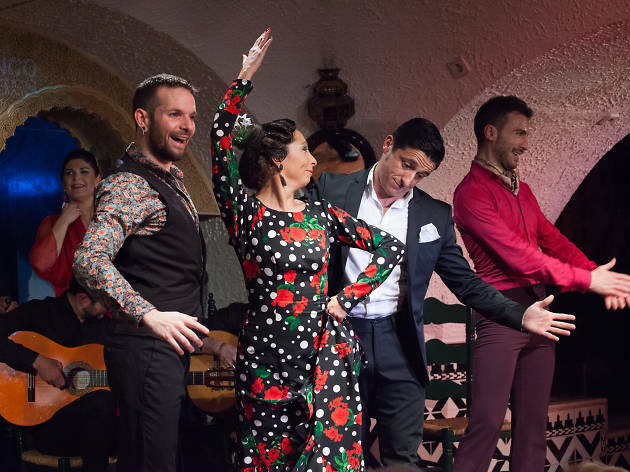 In this now mythical 'tablao', where many important artists have forged their careers, you can enjoy live flamenco singing, guitar, clapping and dancing by living legends of flamenco and promising young newcomers. 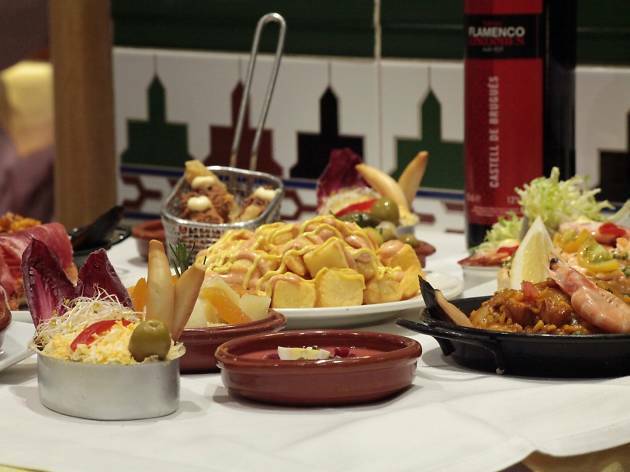 It respects the spirit of a real flamenco tablao and offers, in addition to the show, a restaurant with a fine menu to make the evening a complete experience. You must discover and rediscover it whenever you can! When the married couple formed by the guitarist Luis Adame and flamenco dancer Irene Alba transformed an old dance hall in La Rambla into what would become the temple of Barcelona flamenco, tourism had not yet taken possession of either La Rambla or the rest of the city. 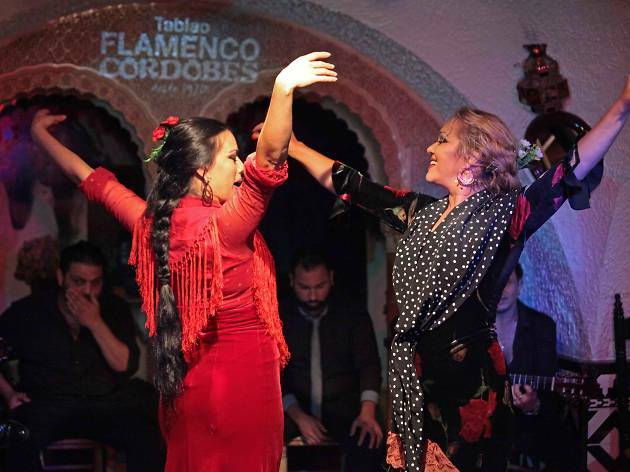 The Tablao Flamenco Cordobés paved the way offering locals shows of great artistic quality and it soon established itself as a place of reference for professionals and all lovers of the art of flamenco. Since then, and run by the same family, it maintains it roots and continues championing the art and, above all, quality. 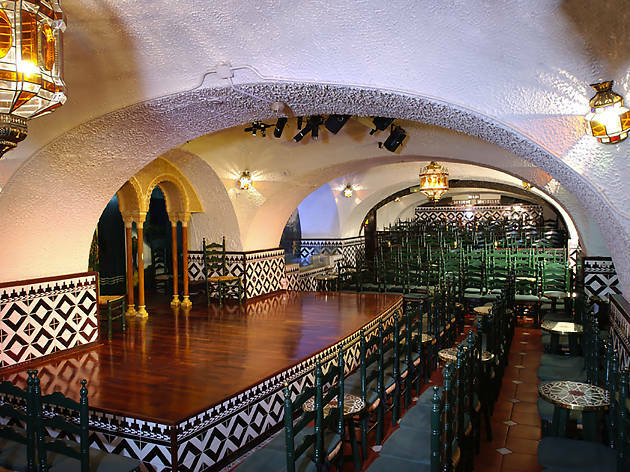 They have widened the intimate circle around their tablao and forged an extended flamenco family, from here and the whole world, making this venue their emblematic meeting point in the city. Figures of the stature of Camarón de la Isla, Manuela Carrasco, Farruco, Chocolate, La Tati, Manolete, Farruquito and Miguel Poveda have performed on its stage. Although Carmen Amaya never performed at the Tablao Flamenco Cordobés, today her grandniece Karime Amaya does, heir to her wild form of dancing. Born in Mexico City, where her family had settled and where her grandmother opened the flamenco school where she trained, she has become one of the main international figures and, since she came to Barcelona, in around 2010, she has made this stage her home. 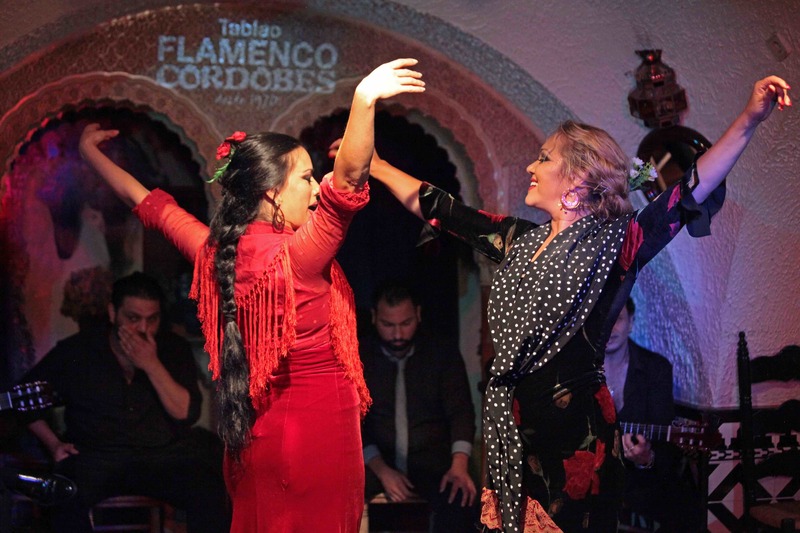 The tablaos are usually small, cosy and intimate venues, where flamenco is experienced in all its authenticity and tradition, an essence that the Tablao Flamenco Cordobés has maintained since its beginnings. On its stage live music without microphones, continuous improvisation and the proximity of the audience create a magical atmosphere where the ‘duende’ that appears with flamenco is felt intensely. If anything has distinguished this tablao from the rest it is its elaborate staging, more theatrical than classical flamenco and with absolute respect for the show. Flamenco singing, the rhythm of the guitar, the 'palmas' and 'zapateao' in the hands of the main figures of flamenco create intense emotions, ranging from 'quejíos', 'gritos' and 'clamores' to declarations of love and outbreaks of laughter. It has to be seen and felt! 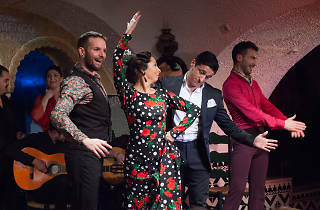 Many of the shows offered by the Tablao Flamenco Cordobés mix the names of many legendary families of flamenco, such as Farruco, Amaya and Carmona, among others. The title of one of the shows, ‘Carmen Carmen Carmen’, pays tribute to the flamenco dancer Carmen Amaya, who worked her way up from the sailors’ taverns in La Barceloneta until performing at the White House in front of President Roosevelt. The enthusiasm and energy are renewed every three weeks with a programme that offers the guaranteed presence of the foremost figures in the current flamenco panorama. Soloists from prestigious international companies, such as Sara Baras and Cristina Hoyos, spend some time at the tablao in La Rambla during their tours. There are also performances by winners of the most important contests in the flamenco world and by promising young newcomers who emerge every year in this art. In addition to Karime Amaya, artists such as Farru, Juana Amaya, Pep Torres, Jesús Carmona, Farruquito, El Yiyo, Amador Rojas, Belén López, Pastora Galván, Alfonso Losa, José Maya, Juan de Juan, Barullo, La Tana and many others are some of the established stars and promising newcomers that form part of the cast of the flamenco shows of this historic tablao in La Rambla. 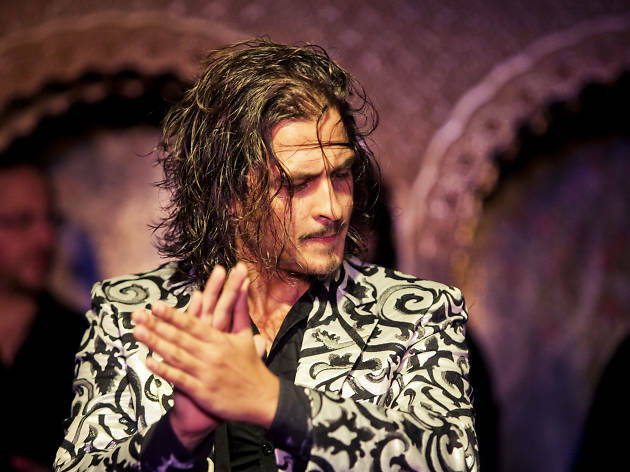 The Arab world’s influence on flamenco is apparent when you enter the Tablao Flamenco Cordobés. The foyer and main staircase are decorated in the style of Nasrid art, whose model is La Alhambra de Granada and continues through two rooms with views of La Rambla, where the restaurant is located. And at the heart of the venue, the tablao is framed below a white dome with architecture that gives it the appearance of a cave. The coloured tiles halfway up the wall and the wicker chairs around the wooden stage invite you to travel to a corner of Andalusia, the home of flamenco. Accommodating up to no more than 180 people, enjoying a show in this exceptional place becomes an intimate and vibrant family celebration. …the experience is also gastronomic! The gastronomy of the restaurant of the Tablao Flamenco Cordobés recovers the traditional essence of Mediterranean and inland cuisine, with contemporary nuances. Run by Jordi Narro, trained in such renowned kitchens as El Celler de Can Roca, El Bulli and El Racó de Can Fabes, he uses only top quality market products. It offers a wide range of dishes and menus that cover the peninsular geography, and include vegetarian, vegan and halal options. 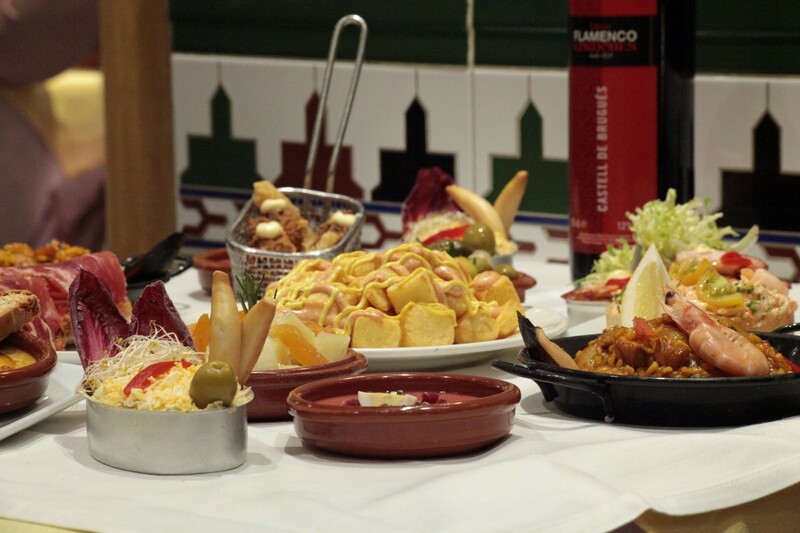 You can choose between trying some classic tapas or a grand tasting menu with over forty dishes, which is an utter delight for the senses. From an Andalusian vegetable-dipping pot and edible sand and flowers or an Andalusian 'salmorejo' (similar to gazpacho) to tapas from the Basque Country known as 'pintxos', 'pulpo a feira' (Galician-style octopus), Iberian ham with 'pa amb tomàquet' (tomato bread), a Valencian paella or some classic Catalan cannelloni... A real odyssey for your taste buds which lacks for nothing.